There’s no question that today’s economic climate is very unpredictable. People are worried about gas prices, the stock market and about their futures. With the current real estate crisis, discovering a piece of breathtaking beauty that also offers incredible values is newsworthy enough to be shared. Foreign investments are growing in the States due to currency fluctuation and low economics. This new resort-like development called Grey Rock is located in one of the most beautiful areas of the Blue Ridge Mountains near Asheville, North Carolina. It Is a landscape of untouched wilderness, with fourteen large natural waterfalls and numerous streams. “The location is one of the most ideal I’ve seen. It has a temperate climate, four distinct seasons, and some of the most breathtaking mountain and lake views in the country” says Ron Berg, managing partner of investment consulting firm RnR Solutions which has been active in Grey Rock. With its scenic beauty, it’s no surprise that Home and Garden selected Grey Rock for their Dream Home of the Year. 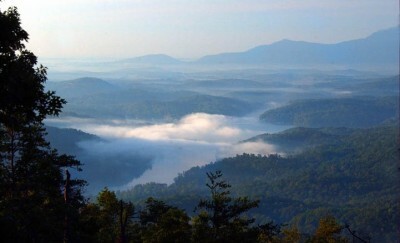 Filmmakers have also used the untouched environment to shoot movies including Dirty Dancing and The Last of the Mohicans. Grey Rock will include two clubhouses, multiple pools, tennis courts, an equestrian center, three helipads, parks, pavilions, libraries and a multitude of hiking, biking, and horse trails situated over 4,000 acres. In addition, there are approximately 50 nearby golf courses and great skiing within an hour’s drive. Grey Rock is also a short 30-minute drive from Asheville, which offers all the dining and nightlife anyone could want. And when looking at numbers the story only gets better: “More than half of the lots have been sold already, so people clearly see the value of a second or third homesite. “We’re also excited about the investment returns that Grey Rock has generated,” says Berg. “Most of the investment returns here have exceeded 100%, with the lowest return being 40% on a property for a 7-month hold period.” That is an outstanding number, especially for Europeans who can really benefit from the advantageous exchange rate these days. It is especially impressive that there are no requirements to build, no minimum hold period, and no restrictions on resales. Grey Rock attracts the wealthy not only for its beauty, but also for its sense of serenity, with no possibility of future overcrowding. It’s exceptional and quite extraordinary, just like America should be: The Land of a Thousand Dreams.